Sonny is not alone in showing his support for the Christchurch community, This incident seems to have brought the New Zealand community together. 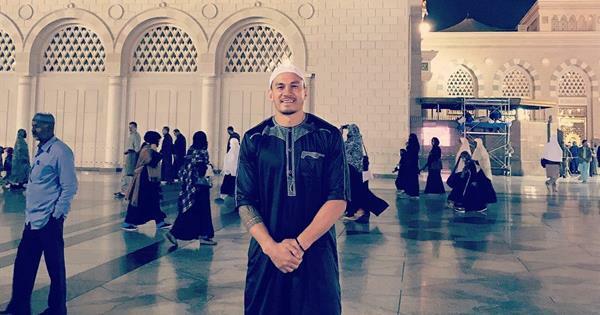 New Zealand’s All Black’s star Sonny Bill Williams, the captain for the Blues, rugby union team based in Auckland, has taken a week off rugby to support the victims of Christchurch terror attacks. The proud Muslim, who was profoundly affected by the acts of terrorism in Christchurch last Friday, will travel to the city in order to fundraise for and offer his support to the grieving community. On Friday afternoon, the New Zealand community fell victim to one its darkest days, when an Australian born terrorist took a local Mosque and shot dead 50 people and injuring a further 40. Heartbroken by this tragic event Sonny Williams posted a moving message on social media, which immediately went viral. Williams recently posted an emotional video on social media during which he was in tears and his decision to travel south rather than continue training in Auckland will receive the full support of his franchise, who cancelled a planned media session today due to the atrocities committed in Christchurch. Williams’ arrival in Christchurch will be significant on many levels, not least because the former Crusaders player lived in the city during the earthquakes of 2010 and 2011. So he knows only too well what the community went through during those difficult times. The 33-year-old midfielder and father of three admits he has matured significantly as a person and a leader while at the Blues over the past couple of years and his influence during his team’s 28-20 victory over the Sunwolves at North Harbour last week was hailed by his coaches and teammates alike. Since he became a Muslim he has often stated that rugby isn’t the most important thing in his life and here it is proof positive. The way New Zealand has come together after the recent mosque attacks is truly inspirational.